Tran Tien Dung, Vice Chairman of the People’s Committee of Quang Binh Province, on August 6 welcomed a foreign tourist group after they successfully covered an exploration tour of the Son Doong Cave in Phong Nha-Ke Bang National Park. Son Doong Cave is the world’s largest cave, located in Quang Binh Province near the Laos-Vietnam border. The name ‘Son Doong’ means ‘Mountain River Cave’. 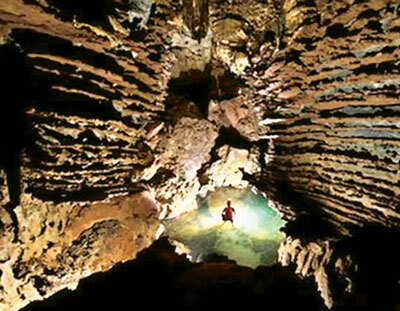 This is the first foreign tourist group to have fully explored the world’s largest cave. The group comprised of six members from USA, Russia, Australia and Norway. After spending seven days and six nights inside the cave, the foreign tourist group returned to Son Trach Commune. On behalf of leaders of Quang Binh Province, Tran Tien Dung awarded certificates to the six member group.